We deeply appreciate all financial contributions, large or small, to enable us to carry forward this quest to Free Hawaii. Any amount you contribute will make a huge impact on our ability to continue this crucial work. Contribute to this Campaign... and help FREE HAWAII! 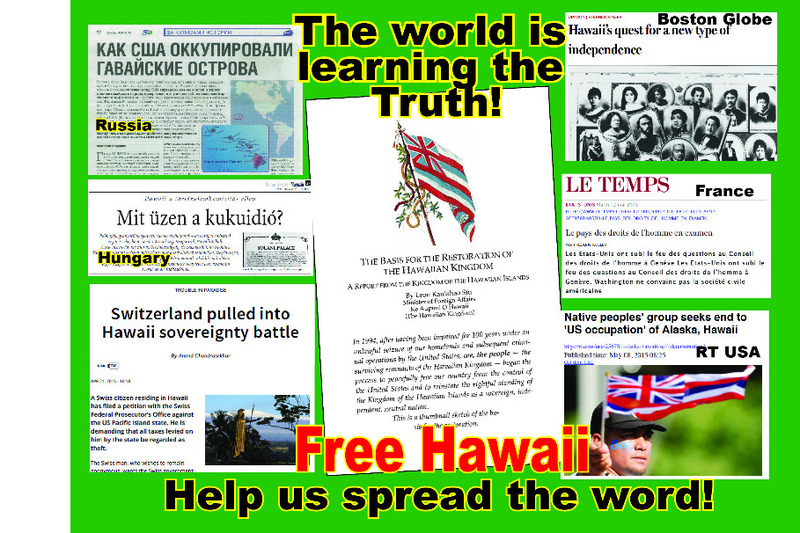 The booklet, "The Basis for the Restoration of the Hawaiian Kingdom," pictured in the middle of those stories from the international press, was used by all those journalists in the writing of those stories. There are a lot more, including one soon to appear in Diva International Diplomat a slick magazine published at the UN in Geneva. Over the years I've given out about 500 of these booklets to diplomats, leaders and many others connected to international affairs. The response? ... "Now I understand." The Kingdom of the Hawaiian Islands is on the verge of a historic comeback as a sovereign, independent country... AND YOU CAN HELP! 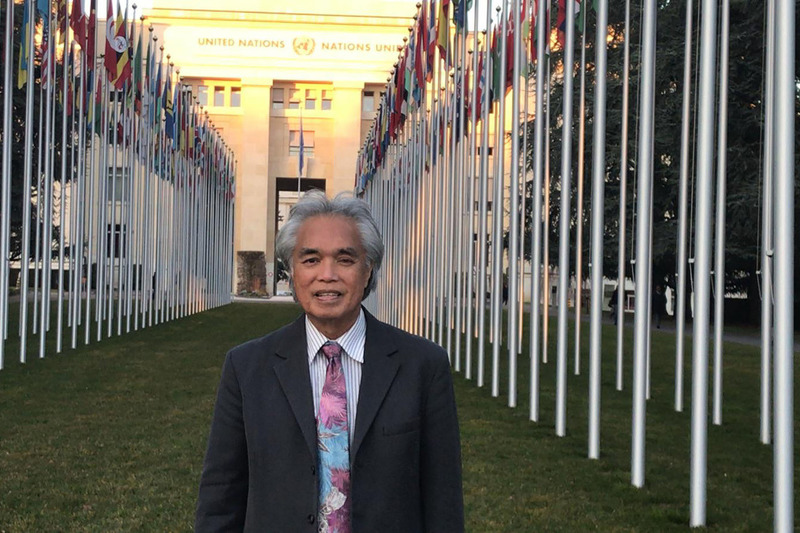 A recent stirrings at the UN reveals that people are getting the message! That Hawaii needs to be Free ! Help us step up our efforts to communicate with international leaders, international bodies like the UN and the international press... to tell our story to people around the world. We're raising funds to RALLY WORLDWIDE PUBLIC SUPPORT to FREE HAWAII! Hawai'i was America's first colony followed by too many others, although they never call them that. It needs to end and Hawai'i is the best place to start. Our Founders never intended the republic to become a colonial empire waging endless illegal wars. Mahalo for your dedication, Leon.